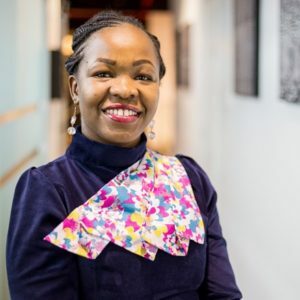 Dr. Wala is currently the programme director for health systems strengthening at Amref Health Africa in Kenya, where she provides leadership and operations management to steer growth of the programme. She is a visionary health manager providing strategic project management expertise in humanitarian and corporate sectors across Africa. She is a servant leader, credited for successfully energizing teams to achieve program goals and cultivating successful linkages with national and regional teams. She is known and respected for program refinements and building credibility and partnerships across cultures and with leading national and international private, public, and non-profit health sector stakeholders. She has participated in the development of key national and international policies and guidelines and adopted a medical affairs policy across 36 African countries. She has served as organization representative at key national and international forums, conferences, technical working groups, and advisory boards. She has more than 15 years’ experience spanning the fields of health systems strengthening, health care policies, pharmaceutical medicine and clinical research. Dr. Wala holds a Master of Science in Infectious Diseases from the University of London (LSHTM), Bachelor of Medicine and Surgery from University of Nairobi and sat for the Diploma in Pharmaceutical Medicine from the Faculty of Pharmaceutical Medicine in the UK.